Thanks to VentureBeat – 43 percent rated “making the wrong strategic decisions based on AI/cognitive recommendations” as among the top three. About 39 percent, meanwhile, cited the failure of AI in a mission-critical or life-and-death situation as one of their fears. Companies are ramping up investments in artificial intelligence (AI) technologies. 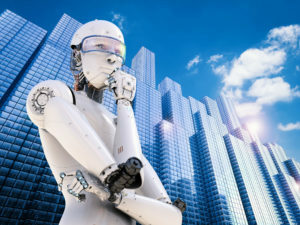 That’s the biggest takeaway from Deloitte’ssecond “State of the AI in the Enterprise” report, a survey of more than 1,100 IT workers and executives from U.S.-based companies that was conducted in the third quarter of 2018. Deloitte credits increased investment with the uptick. About 37 percent of executives said their companies have set aside $5 million or more for “cognitive” technologies like deep learning and machine learning, including enterprise software with AI “baked in.” And 55 percent said they’d launched six or more pilots (up from 35 percent a year ago), with 58 percent claiming they’d undertaken six or more full implementations (up 32 percent). The enthusiasm — plus a strong desire among executives to “catch up with their rivals” — is contributing to an annual global growth rate in AI-as-a-service solutions of 48.2 percent. (Deloitte pegs the cognitive technologies market at $19.1 billion globally.) There’s some urgency about it; 42 percent of executives surveyed believe that adopting AI will be of “critical strategic importance” within the next two years, and some are already beginning to see gains. More than 80 percent said their AI investments resulted in a financial return, particularly in the technology, professional services, and media and entertainment/telecommunications sectors. Deloitte cites Netflix as an example: The streaming media giant found that if its customers search for a movie for 90 seconds, they give up. By using AI to improve search results, it was able to save about $1 billion in potential lost revenue. Other cost savings might come from job cuts. A majority of those surveyed — 63 percent — expect that AI will automate tasks currently overseen by human workers. That said, 78 percent contend that cognitive technologies will empower people to make better decisions, and 72 percent and 78 percent said it’ll increase job satisfaction and “fuel new ways of working,” respectively.